Southwest of Roscommon to Galway via the demesne of Mount Bellew (landscaped by Hely Dutton; mansion demolished), shortly passing the battlefield of Knockdoe, where in August 1504 Gerald Fitzgerald, the Great Earl of Kildare, defeated his son-in-law Ulick de Burgh. 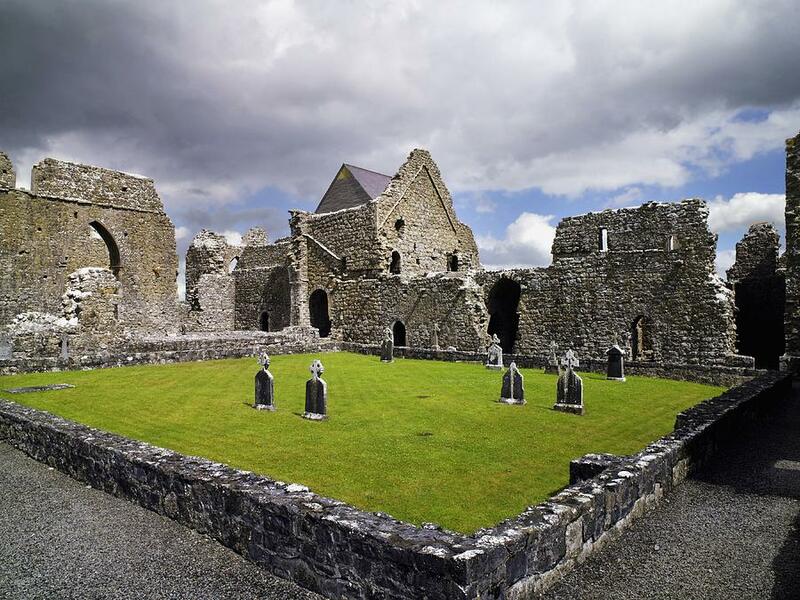 Abbey Knockmoy was founded for Cistercians by Cathal O’Connor ‘of the Red Hand’ to commemorate his victory over the English under Almeric St. Lawrence in 1189. There is a Romanesque three-light window in the choir, and important remains of frescoes on the north chancel wall, and elsewhere. The canopied tomb of Malachy O’Kelly (d. 1401) and his wife is also notable. The isolated hill of Caherpucha (the ‘Hill of the Fairies’) rises prominently to the southwest. Mount Bellew & Abbey Knockmoy are hidden gems and worth a visit on your tours of Ireland.